This isn't really rail-related but, as readers of Call of the Northland will know, activist writing and footnotes can go together. 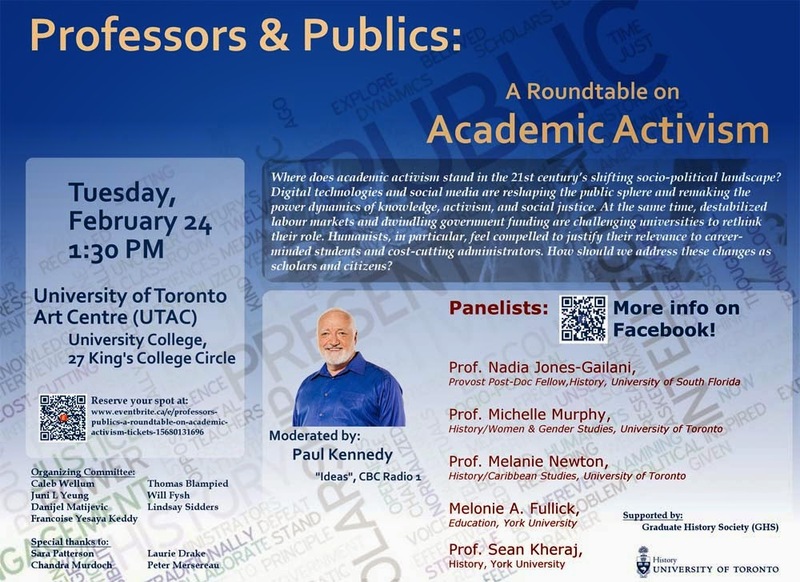 I have been helping to organize a roundtable discussion at the University of Toronto on February 24. Professors + Publics: A Roundtable on Academic Activism will explore how activism and academic work fit together. The roundtable will be moderated by the host of CBC Radio's Ideas, Paul Kennedy. The discussion takes place at the University of Toronto Arts Centre at 1:30pm. You can register for free here. It promises to be an interesting afternoon. Join us if you can!